Among midsize, 3-row crossover SUVs, the Toyota Highlander is a popular choice among consumers. Blending reliability, safety, value, and in hybrid format impressive fuel-economy ratings into a roomy, practical, and affordable package, it is not surprising that Toyota sells plenty of Highlanders. Nevertheless, for the 2017 model year, Toyota has freshened the Highlander in order to ensure its continued appeal. Highlights include an expanded lineup with more affordable hybrid variants and a new SE trim level that promises a little bit of extra fun. Toyota also offers a new V-6 engine and 8-speed automatic transmission in most trim levels, adds numerous driver-assistance and collision-avoidance systems as standard equipment, and revises the Highlander's styling. Given the changes, it was time to revisit the 2017 Toyota Highlander. For this review, we evaluated an XLE trim level equipped with all-wheel drive, rear entertainment system, carpeted floormat package, and several dealer-installed accessories. The price came to just more than $44,000, including the $960 destination charge. Before we discuss the results of our evaluation of the new 2017 Highlander, it is helpful to understand who buys this SUV and what they like most and least about it. Buyers who choose the Toyota Highlander match Midsize SUV segment demographics with two exceptions. More often, Highlander buyers are women, at 46% compared with 42%. Also, Highlander buyers enjoy a higher median annual household income at $123,355 compared with $111,964. Highlander buyers are more likely to identify themselves as performance buyers, at 23% compared with 16% for the segment. Price is less of a concern, with 19% of Highlander buyers identifying themselves as price buyers compared with 23% of Midsize SUV buyers. Otherwise, as far as their attitudes and opinions about vehicle ownership, people who buy Highlanders are, with minor variances, aligned with Midsize SUV buyers. The exception is that 59% of Highlander buyers disagree that they prefer to buy a vehicle from a domestic company, whereas 42% of Midsize SUV buyers disagree with that sentiment. Buyers say their favorite things about the Highlander are (in descending order) the engine/transmission, driving dynamics, exterior styling, interior design, and visibility and safety. Buyers indicate their least favorite things about the Highlander are (in descending order) the storage and space, climate system, seats, infotainment system, and by a significant margin, fuel economy. Aside from its bold new grille and revised wheel designs, the 2017 Highlander looks much like the previous version of the vehicle. 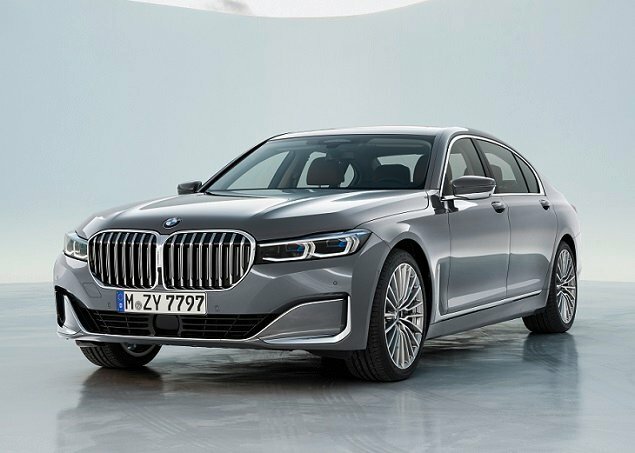 That means it wears gray plastic body cladding to look more like an SUV than a station wagon, and features swollen fenders, sculpted body sides, and a tapered tail to give it a sense of style. Personally, I find the new louvered grille treatment to be an improvement, though I can also see why someone might deem it off-putting. Aside from adding more USB ports to the cabin, Toyota makes few changes to the 2017 Highlander's interior. The SE trim level has unique detailing for a sporty appearance, while the Limited Platinum trim level is offered with a new brown leather color that enriches the cabin. The test vehicle's interior was a light gray color. 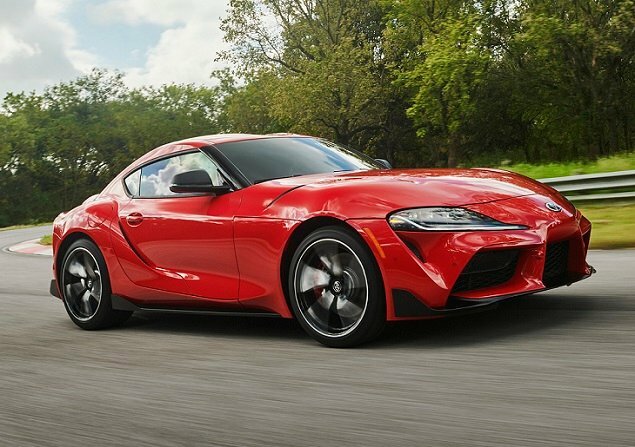 Thankfully, because Toyota takes a high-contrast approach to the design, the black upper dashboard, upper door panels, carpets, and mats provide relief from what could otherwise be a drab single-color driving environment. Toyota touts the Highlander as an 8-passenger SUV, but that's not a count of adults. There is no way three grown-ups can cram into the rather narrow third-row seat. Even two adults will be unhappy, because the third-row seat lacks legroom and thigh support, and is positioned too close to the tailgate. Used as a 5-passenger vehicle, the Highlander makes much more sense. Agreeable leather and front seat heaters make the XLE's driver and his or her front passenger more comfortable, and the driver's seat provides a range of power adjustment to ensure a proper position behind the steering wheel. Unfortunately, the front passenger's seat lacks a height adjuster. Second-row seats slide on tracks, creating extra legroom for third-row passengers when that seat is used. When the third-row seat is folded down, second-row passengers can slide them back for truly generous space. Captain's chairs are available for the top trim levels, and for 2017 can be replaced with a bench seat should a buyer prefer it. Toyota makes effective climate control systems, and during a hot testing week the Highlander's air conditioning blew ice cold. The controls and displays are easy to find and reference, but the temperature control knobs do not protrude far enough from the dashboard, making them harder to grasp with dry fingertips. Ranking ninth among 10 characteristics as rated by Highlander buyers, the infotainment system is a source of dissatisfaction, and for 2017 Toyota makes no changes to address that. The system uses an 8-in. recessed display that is susceptible to sun glare and that employs small virtual buttons for many of its functions. Precision is often difficult when the Highlander is underway, the driver frequently needing to stab a finger more than once in order to obtain the desired result, and this becomes distracting. Furthermore, while the stereo power/volume and tuning knobs are definitely appreciated, they're stubby and hard to grasp, and they also require precise movement. The tuning knob is a real stretch to reach, too. What might irk owners the most, however, is Toyota's continued reluctance to offer smartphone-projection technology in the form of Apple CarPlay and Android Auto. The automaker says it is concerned about the data privacy of its customers, and instead offers its Entune App Suite technology and a Scout connected navigation solution. Another argument in favor of using the Highlander as a 5-passenger vehicle is that it supplies just 13.8 cu. ft. of cargo space behind its third-row seat. Fold the third-row seat down and you've got a far more reasonable 42.3 cu. ft. of space at your disposal. Maximum cargo volume measures 83.7 cu. ft.– among the larger vehicles in the segment. As far as interior storage is concerned, the Highlander supplies plenty of it. In addition to the huge center console storage bin with its innovative lid, a tray runs most of the length of the dashboard, providing an exceptionally handy spot for a variety of things. Rear-seat passengers have seatback pockets, door panel bins, and a small tray at the bottom rear section of the center console to use for storage. Large side mirrors and a standard reversing camera help to improve the driver's outward visibility in the Highlander. New for 2017, a 360-degree surround-view camera system is standard for the Limited Platinum trim level and includes a Perimeter Scan system that shows the driver a camera view of the Highlander's immediate surroundings. Also new for 2017, every Highlander is equipped with standard Toyota Safety Sense driver-assistance and collision-avoidance systems. They include adaptive cruise control, forward-collision warning with pedestrian-detection capability, automatic emergency braking, lane-departure warning with lane-keeping assist, and automatic high-beam headlight operation. Depending on the trim level, a blind-spot warning system with rear cross-traffic alert is available. Toyota offers a subscription-based Safety Connect service for the 2017 Highlander, including automatic collision notification and SOS emergency assistance. The problem is that it is available strictly for the Limited Platinum trim level. It also doesn't provide Teen Safe driver functions, unlike an increasing number of competitors. At least it is free for the first year of ownership. In crash testing, the Highlander earns high ratings, qualifying as an Insurance Institute for Highway Safety (IIHS) "Top Safety Pick+" for 2017 and receiving a highest-possible 5-star overall rating from the National Highway Traffic Safety Administration (NHTSA). Three different powertrains are available for the 2017 Highlander. 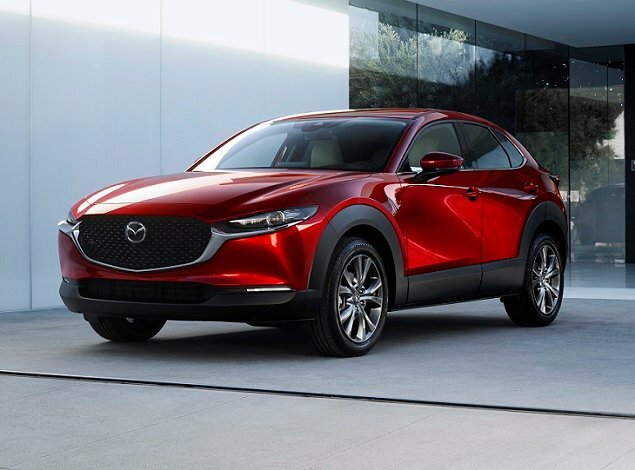 The base LE trim level with front-wheel drive has a 2.7-liter 4-cylinder engine paired with a 6-speed automatic transmission. Hybrid models combine a new 3.5-liter V-6 engine with a continuously variable transmission (CVT). Hybrids also use front and rear electric assist motors to effectively create an all-wheel-drive (AWD) system. The XLE test vehicle had the new 3.5-liter V-6 engine and a new 8-speed automatic transmission. Featuring direct fuel injection, the V-6 is more powerful than before and is EPA-rated to deliver better fuel economy. Power output measures 295 horsepower and 266 lb.-ft. of torque, and the new automatic features a Snow driving mode, intelligent sequential shifting, uphill and downhill logic, and Dynamic Rev Management technology. That sounds pretty good, but I think I'd rather have the less-efficient and less-powerful old V-6/automatic combo back. The problem is that the sophisticated 8-speed automatic isn't quite as intelligent as Toyota proclaims. Specifically, it seems eager to upshift and reluctant to downshift, which makes the SUV feel somewhat sluggish and unresponsive. Based on EPA ratings, the Highlander XLE AWD test vehicle should have averaged 22 mpg in combined driving (20 mpg city and 26 mpg highway). On the official test loop, it averaged 19.6 mpg. This disparity between ratings and reality likely explains why Highlander buyers, by a long shot, rate fuel economy as their least favorite thing about the SUV. Stick to commuter routes, city streets, and suburban shopping malls and the Highlander XLE supplies satisfactory driving dynamics. The ride quality is decent, the cabin fairly quiet, and the Highlander is easy enough to maneuver. At no time does the Highlander attempt to make the driver smile. Take it for a romp on a back road and the excessive body motions and limp steering make sure of that. Handling is secure, the brakes can withstand abuse, and the SUV responds faithfully to steering input, but you're unlikely to pronounce it as anything but blandly competent. Notably, a brief drive earlier this year in the new Highlander SE revealed that it could provide more driving enjoyment. If this is important to you, consider that version. What you see is what you get. The 2017 Toyota Highlander is a practical choice among midsize crossover SUVs, delivering the key characteristics that people shopping in this segment seek. Plus, it is offered as a fuel-efficient hybrid model–a segment exclusive. However, in spite of a freshening for 2017, the Highlander is rapidly aging. It is not as roomy and utilitarian as a Volkswagen Atlas, not as refined and comfortable as a Honda Pilot, and is not as quick and fun to drive as a Ford Explorer Sport. Furthermore, it is rapidly falling behind modern expectations in terms of its infotainment system. For now, Toyota loyalists are likely to forgive the Highlander's flaws. Others might not be willing to overlook them. Toyota Motor Sales, U.S.A. supplied the vehicle used for this 2017 Toyota Highlander review.